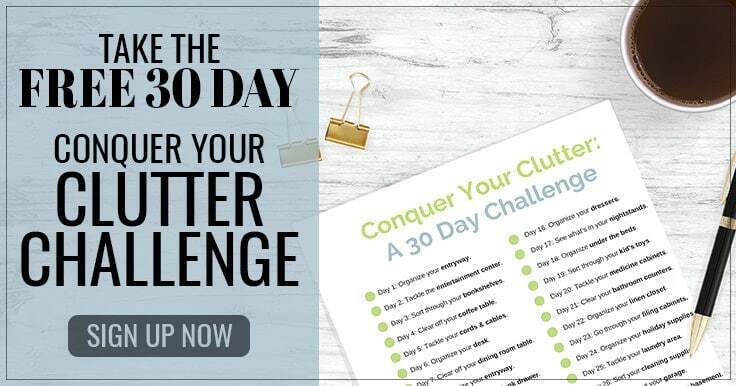 Get organized and stay organized with the 30 Day Conquer Your Clutter Challenge. In just 15 minutes a day, you can easily bring order and organization to your home! Is your craft corner looking a little messy? Are you collecting old mail and magazines on your coffee table? Are your closets filled with clothes you honestly can’t imagine yourself ever wearing again – but simply can’t bear the thought of parting with? Are You Ready to Conquer Your Clutter? If so, sign up for the 30 Day Conquer Your Clutter Challenge, brought to you by our new brand and business: Clutter Keeper. Clutter Keeper is on a mission to help you get organized and stay organized by designing products and sharing tips to keep your clutter from overrunning your life. Over the course of the next month, you’ll spend fifteen minutes each day bringing order and organization to your home, leaving your space clutter-free and your mind at ease. Sort through your bookshelves, untangle your cords and cables, and clear the clutter from your dining room table. Organize your kitchen from top to bottom, including your pantry, your cabinets, and the space beneath your kitchen sink. Bring order to your bedrooms and bathrooms, where clutter is quick to accumulate. Tackle those out-of-sight, out-of-mind areas of your home like your linen closet, your filing cabinets, and your attic or basement. With a printable checklist and weekly email check-ins to keep you on track, you’ll be well on your way to conquering your clutter and bringing order to your home by the end of the month! 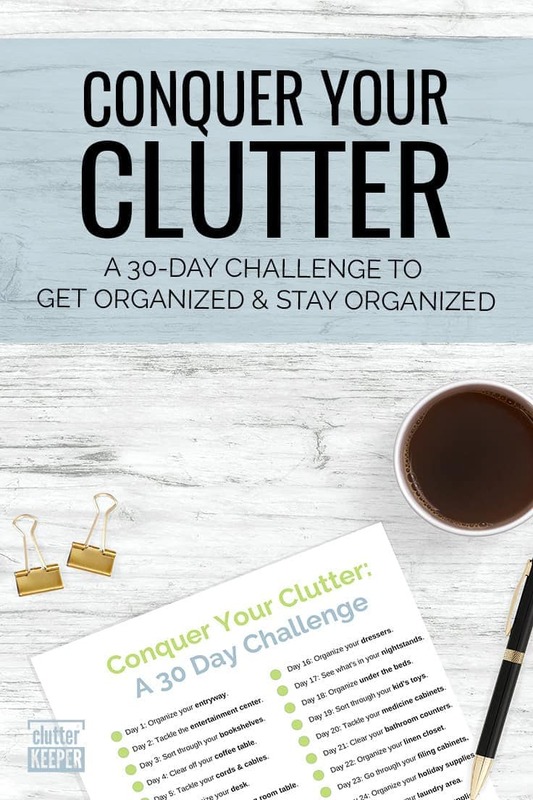 To take the Conquer Your Clutter Challenge, just head over to ClutterKeeper.com to sign up now. We hope Clutter Keeper will become your go-to source for all things home organization and would love to hear your feedback! Let us know if you have any comments, questions, or general feedback by sending an email to [email protected].